Concerts of Alex Gámez and Ruben García at 8:00 pm in the AUDITORIUM of CentroCentro. On the same day, from 6:00 pm you can visit the sound installations of the 3 guest artists situated on the 5th floor of CentroCentro. The exhibition will remain until the 30th the March. Will participate in the 7th edition of Audiópolis with a concert and an exhibition – sound installation. Alex Gámez is graduated with a degree in Optics and Optometry from UPC University. He has been involved with music as a dj, sound artist, sound designer, mastering engineer and producer since 1995, and currently works under the moniker Asférico. Asférico is a proposal that emerges from an artist needing to create and experiment without loosing the groove. He produces a wide range of sounds and tracks, from extremely experimental to dance-floor music. In January of 2006, he founded Störung, a platform focused on electronic and experimental music and visual arts. He is in charge of this project whose aim, in short, is to promote and support a variety of creative tendencies of the electronic music field, providing live performances, radio programs, and releases, to enable the audience to hear and enjoy these musical and artistic tendencies. After starting to collaborate with Kim Cascone in 2008, he became involved with Hydrophonia in 2010 as producer, and operates the Barcelona office. He is also the label manager of the Störung sub-label FlatMate Music. Will participate in the 7th edition of Audiópolis with an exhibition – sound installation. Miguel Álvarez-Fernández (Madrid, 1979) combines his activities as a sound artist with his research in this field and his work as a producer and curator. Álvarez-Fernández studied Composition in the Conservatory of San Lorenzo de El Escorial, as well as in Germany (Darmstadt, Kürten, Berlin), and other Spanish institutions (LIEM/CDMC, Gabinete de Música Electroacústica de Cuenca, Aula de Música de Alcalá de Henares…). Between 2002 and 2005 enjoyed a scholarship as a composer at the historical Residencia de Estudiantes (Madrid). From 2005 and 2008 he worked at the Electronic Music Studio of the Technical University of Berlin as a guest composer, researcher and teacher. Since 2008 he hosts the weekly broadcast Ars Sonora at Radio Clásica / Spanish National Radio. His compositions, performances and sound installations have been presented in cities such as Madrid, Barcelona, Valencia, Seville, Palma de Mallorca, Berlin, Cologne, Copenhagen, Stockholm, Moscow, Ohrid, Novi Sad, Vilnius, New York, Mexico City… In 2011 he received from Llorenç Barber, the IV “Cura Castillejo” Prize, which in the previous editions was awarded to, respectively, Francisco López, Fátima Miranda and Luis Lugán. The production process of sound installations such as “Tiempos” is supported by the Twin Gallery. 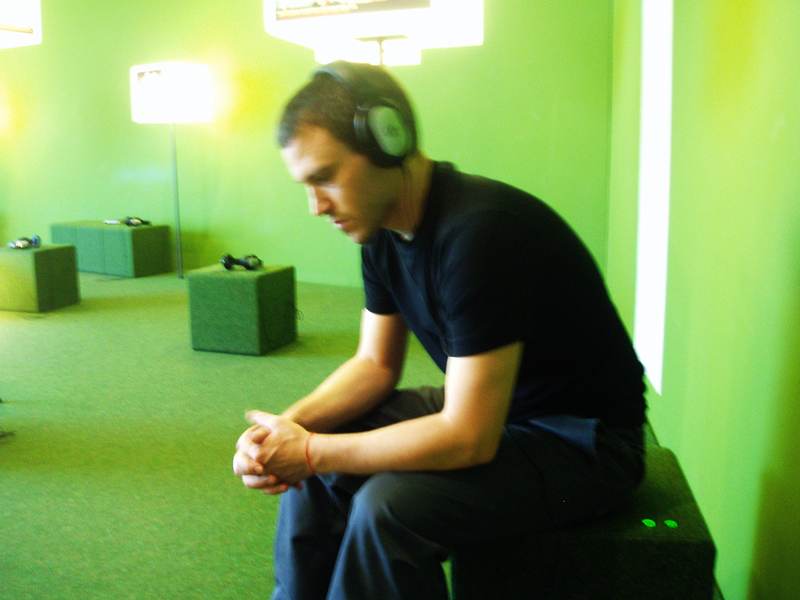 Sound installation by Miguel Álvarez-Fernández for Audiópolis (CentroCentro). Production by Twin Gallery. A sound and visual reflection about vinyl records, nostalgia, kitsch… and our relationship with time, in their several forms. The sound installation Tiempos has been produced with the help of Twin Gallery and will be presented for the first time into the cycle Audiópolis in CentroCentro, from February 7, 2014. In Tiempos cohabit more than a hundred vinyl records (LPs, singles…) whose only common feature is the presence of the words “time” or “time” on its cover. Is this how is constructed an improbable cartography of music that published in these formats during the past fifty years in Spain and Spanish America. From zarzuela to punk, protest song to song, lots of pop, romantic ballads, remixes, salsa, heavy metal… A horror vacui covering the walls with traces of other times, other aesthetics. The visitor, while watching this rocking mosaic between kitsch and camp, can listen through headphones certain fragments, very specific, extracts of these recordings: the occurrences of the words “time” and “times” extracted from the exposed vinyl. Sound lightings, sung in a thousand and one intonations, infinitely varied voices, along with various instrumental accompaniments more, so subtle or loud, slow or fast morosely nervously… acoustic glimpses cracks, fleetingly, whole aesthetic universes. TIEMPOS. Sound installation, variable dimensions and duration. 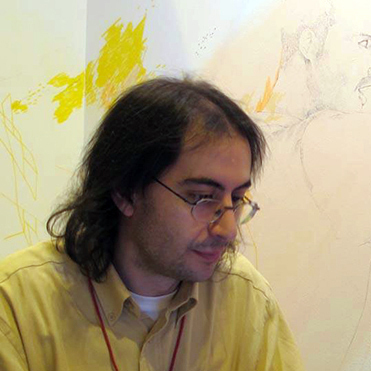 Miguel Álvarez-Fernández, 2014. EOZOÖN editions. Sound Installation. Rubén García. CentroCentro. 2014. Sound Platform founded in 2001 by Rubén García with the idea of promoting all kinds of experimental music, abstract, concrete, soundscape, etc … Besides editing sound artifacts, it has been involved in organizing events for the same purpose as the Observatory Festival, the series ((VIBRA)) and other events in the city of Valencia. STÖRUNG. Sound Installation. Alex Gámez. CentroCentro. 2014. Multidisciplinary platform of artists that develop audiovisual environments based on electronic and experimental minimal- ism using new technological and musical trends. This project started in Barcelona in 2006 and as its name suggests störung means interference– the aim of the works presented by this platform is to interfere with the music styles that are nowadays usually considered electronic music, offering an alternative and different sound experience. 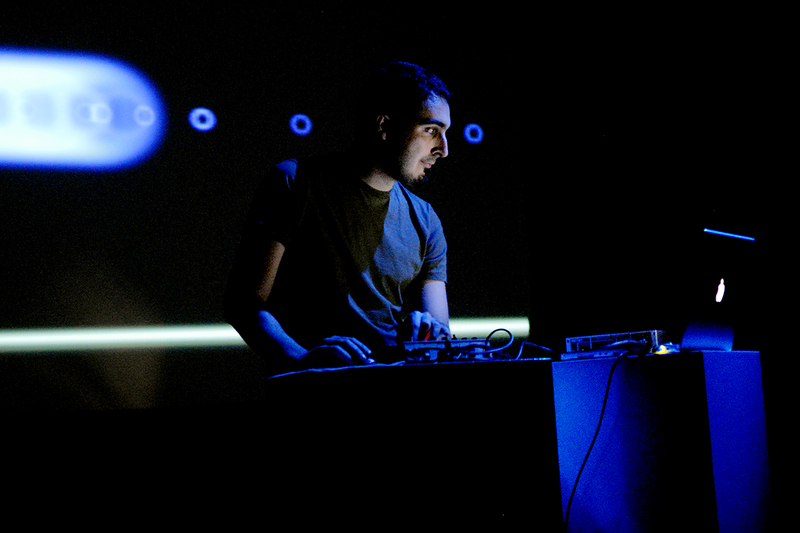 To achieve this objective, the main pillar of the platform is experimentation and improvisation in the field of sound synthesis and image in real-time, creating in this way a unique audiovisual environment. Störung develops the following main activities: Störung Festival, Störung Label, Störung Radio and Störung Workshops.